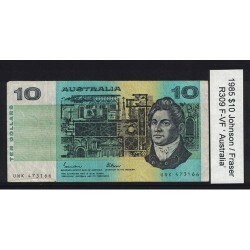 $10 Australian Decimal Banknotes There are 15 products. 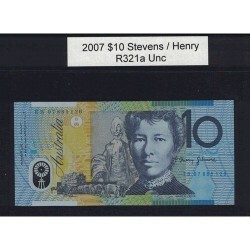 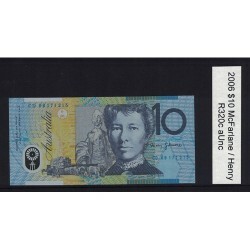 2007 $10 R321a Stevens / Henry General Prefix Uncirculated Polymer Australian Banknote. 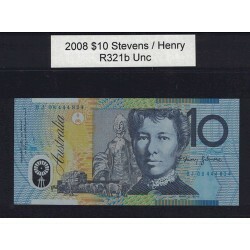 2008 $10 R321b Stevens / Henry General Prefix Uncirculated Polymer Australian Banknote. 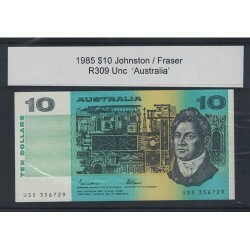 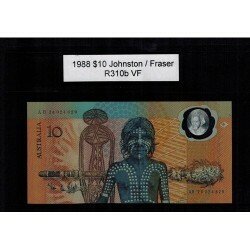 1985 $10 R309 Johnson / Fraser General Prefix F-VF Paper Australian Banknote. 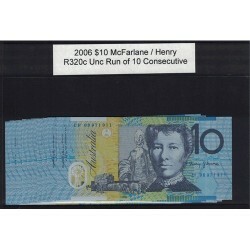 2006 $10 R320c McFarlane / Henry General Prefix aUnc Polymer Australian Banknote. 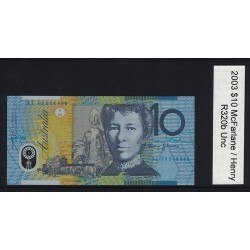 2003 $10 R320b McFarlane / Henry General Prefix Uncirculated Polymer Australian Banknote. 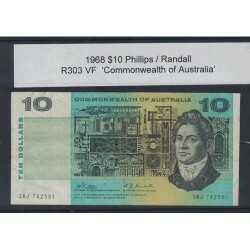 1968 $10 R303 Phillips / Randall General Prefix VF Paper Australian Banknote. 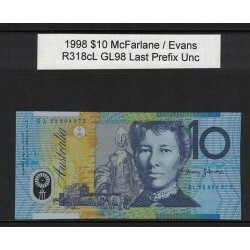 1998 $10 R318cL McFarlane / Evans GL98 Last Prefix Uncirculated Polymer Australian Banknote. 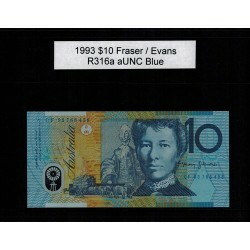 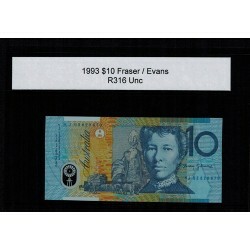 1993 $10 R316a Fraser / Evans General Prefix aUNC Polymer Australian Banknote.